The management of the Ladoke Akintola University of Technology (LAUTECH), Ogbomoso and the Academic Staff Union of Universities (ASUU), LAUTECH chapter are currently at loggerheads over the resumption date in the institution. LAUTECH had, through its Registrar, Mr. Jacob Adewale Agoola, on Wednesday issued a statement informing the students of the commencement of academic activities today, January 3rd). Agboola in the statement entitled, "Re: Resumption of academic activities" added that the decision to commence the academic activities was reached by the University Management Committee at its meeting of Wednesday, January 2, 2019. He said "The University Management Committee at its meeting of Wednesday, January 2, 2019, directed that all students be notified of the commencement of academic activities (course registration and lectures) on Thursday, January 3, 2019. "Students are advised to check the University website for the academic calendar and lecture time-table for 2018/2019 Harmattan Semester. Best wishes". Osun Daily's check on the university's website confirmed the registrar's issued statement. However, ASUU LAUTECH chapter while reacting to the management's directive on resumption declared that the ongoing ASUU strike was still in force. 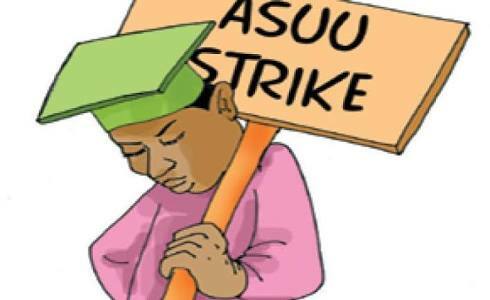 ASUU in a statement signed by its Chairperson, Dr. Biodun Olaniran and Secretary, Dr. Toyin Abegunriin, a copy which was made available to DAILY POST, advised parents not to allow their children to go to the school when nobody will attempt to them. The duo in the statement entitled, "ASUU LAUTECH is still on strike", said, "This is to inform members of the general public that ASUU national strike is still very much in force. "LAUTECH as a branch of the Union is fully involved in the patriotic struggle of ASUU to reposition the public university system in Nigeria. "Any information to the contrary should be disregarded by the members of the public. Negotiations are still ongoing to find solutions to issues in contention. "Parents are therefore advised not to send their children to school when nobody will attend to them"